Welcome to Moore Inspections, LLC. 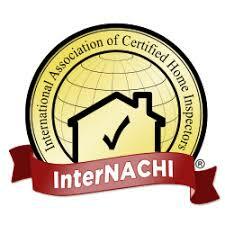 Your premier Texas Home Inspection Company. We have worked for years in many different aspects of the inspection industry, and we have a better grasp of your home than other inspectors because of this. Sean Moore is the founder and owner of Moore Inspections, LLC. Before he became a professional real estate inspector in Texas, Sean served in the United States Coast Guard for 23 years. He was a fully qualified Coast Guard (ship) Inspector with his specialty in damage repair and new construction for all size ships including freight ships over 800 foot long. He always had the love of residential construction and applied his skills to renovate their own personal homes, volunteered time to build homes with Habit for Humanity and he checked off a bucket list item in 2014 when his family built their own farmhouse in Tennessee. Now Sean, his wife, and two children take permanent residence in College Station, TX (His third son lives in the farmhouse in Tennessee). He enjoys helping first-time home buyers and those more experienced, make informed decisions on one of the largest purchase ever made. Now Sean, his wife, and three children take permanent residence in College Station, TX . He enjoys helping first-time home buyers and those more experienced, make informed decisions on one of the largest purchase ever made. Sean was amazing!! Incredibly helpful and so knowledgeable. He went above and beyond in every way. He did our inspection on short notice, drove out of his normal area and was so patient when explaining the issues with our future home. I can’t say enough good things about his company. I have never experienced this level of customer satisfaction. He even told us we can contact him if we have any questions when doing home repairs. The man has already been paid and yet he continues to be of service when he doesn’t have to be. Moore Inspections LLC provided expert advice during my home buying experience. His knowledge and experience ended up saving us a lot of money and we are extremely grateful!